Fighting Words! Trump Counter-Punches Mark Cuban’s debate intimidation tactic with his OWN! 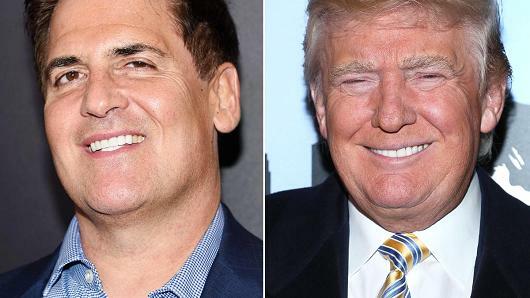 Billionaire Marc Cuban has bragged about securing a front row seat to watch his former friend, Donald Trump, debate the wicked witch of the Democrats, Hillary Clinton. If you thought that joke was good, then you should see Donald Trump’s response. Trump is not one to be unspoken or outdone, so he takes things a step further. And in this case, it’s REALLY far. Donald Trump is securing another front row seat for someone Hillary Clinton probably does not ever want to see again. Donald Trump will bring Gennifer Flowers to sit up close and personal and make things really awkward for Hillary and Bill Clinton. Who is Gennifer Flowers? She’s not Monica Lewinsky, but perhaps a close second. Gennifer Flowers is an old Penthouse model who hooked up with Bill Clinton. It was in 1998 that Clinton admitted he had sexual relations with this woman. You know, similar to the sexual relations he said he didn’t have with Lewinsky. It was in 1992 that Flowers said she had a 12-year relationship with Bill Clinton. I bet things aren’t too swell with Hillary and Gennifer. This is like the Brad and Jennifer for old politicians and washed up no-talent models like Flowers. Trump is bringing the ammo to the debate, but will only fire shots if he’s put on blast first. If Hillary tries to call Trump a sexist (because he dislikes the pig formerly known as Rosie O’Donnell), then Trump will mention the sexist nature of Mr. Clinton. The Right Scoop – Trump told O’Reilly he would only bring up Bill Clinton’s rapey past if Hillary tried first to hit him with the “sexist” epithet. But at least we know now he isn’t afraid to use the ammunition he’s got!! 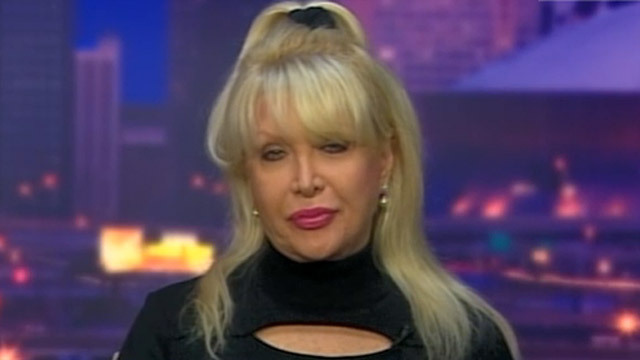 Gennifer Flowers looks like she was found in a dumpster that performed cheap botox. She looks like a medical disaster. I guess her and Hillary have something in common.